Partners — Nature's Finest Food Inc. | Keeping it Simple! We believe that in order to move forward, you have to give back! This is why we have partnered with Caterina’s Club who provides support and efforts in educating the value of nutrition and whose mission is to provide warm meals, affordable housing assistance, and job training to homeless and low-income families throughout Southern California. 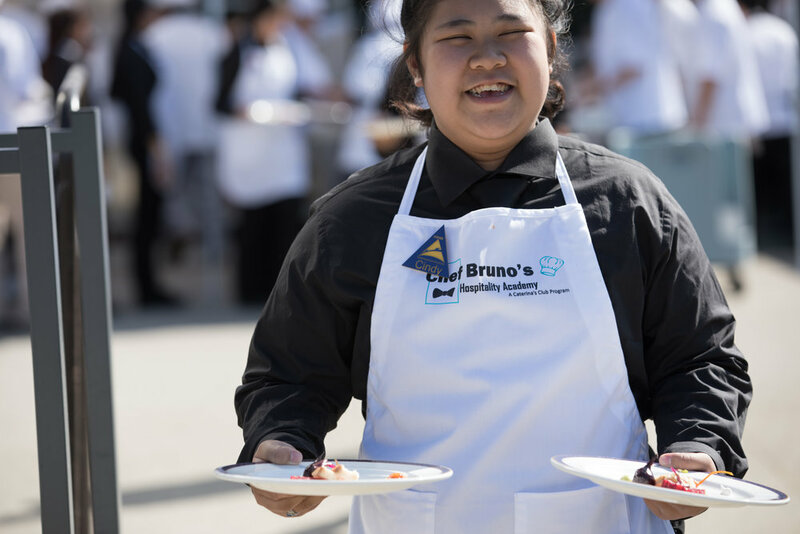 We focus our efforts in supporting Chef Bruno's Hospitality Academy! The goal of this program is to educate the youth to break the poverty cycle and provide insight on the opportunities that lie ahead as they prepare to exit high school and enter the workforce. Our support of the organization is not dependent on the purchase of our products in any way or fashion. Please contact us if you are interested in partnering!